If you want the Best Costa Rica Lodges experience away from the crowds. Then Costa Rica has plenty to offer the off-the-beaten-path traveler. From the depths of the National Parks to the heights of dormant volcanoes. There’s many ‘undiscovered’ areas where you can feel like you were the first to step foot there. Our handpicked rural hotels can sometimes only be reached by boat, or by rafting down a river, so you can guarantee it will be a vacation you never forget. There are so many activities that you and your family can enjoy. Whether you are looking for cultural discovery, abundant wildlife, or simply peace and tranquility, there is something spectacular for everyone. From rustic hotels to luxurious retreats, there are endless possibilities for your Costa Rica Lodges vacation. 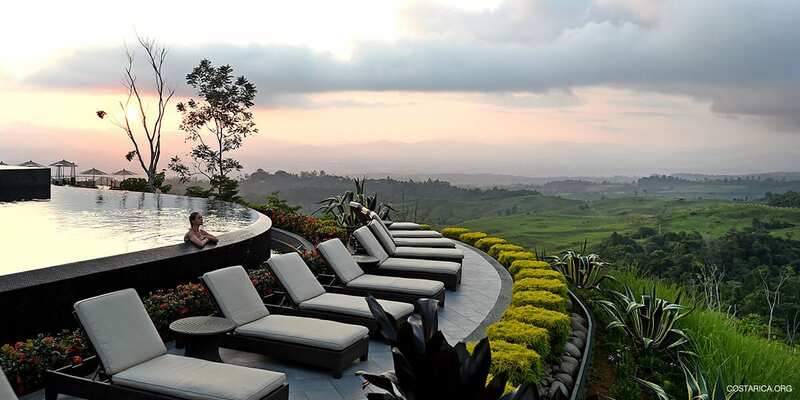 Getaway at the Best Costa Rica Resorts and Rustic Hotels. They don’t disappoint by overcrowding and long lines. Only the sound of jungle animals and crickets. The Majority of these cozy hotels are exclusive and offer the best of services. Also, they cater to your needs to make you comfortable. In conclusion, let us help you find the Best Costa Rica Lodges hotels. Looking for something different away from the crowds and popular tourist destinations? Costa Rica Lodges offers a wide variety of off-the-beaten-path destinations for the intrepid traveler. Also, those willing to take the time and effort to explore the country never leave disappointed. From the depths of subterranean caves to the peaks of dormant volcanoes and unexplored rainforest areas. There are so many ‘undiscovered’ areas where you’ll feel like the first person to step foot. You are sure to find the best Vacation Spot in Costa Rica. Before tourism became relevant, everything outside the central valley’s off the beaten path, Costa Rica. But now, and for more than twenty years, tourism has played a significant role in Costa Rica’s economy. It’s transforming many of its pristine wonders and local villages into busy tourist hubs with lots of hotels. For example, La Fortuna, Monteverde, Tamarindo, Tortuguero, Jaco, Quepos, Puerto Viejo and others. If you have already visited these beautiful places and think there are no more treasures to be found. Well, you couldn’t be more wrong. Here are just a few of our favorite spots for you to find the Best Vacation Spot in Costa Rica. If you’ve seen a photo of “Rio Celeste” you’re probably thinking “that must be Photoshop, there’s no way the river could be that blue!” That’s what I thought before I actually had a chance to visit this beautiful area. The combination of sulfur and minerals found in the Rio Celeste give it a color found nowhere else on Earth. Taking a hike through the national park here is well worth the experience – and your likely to have the trails and the guide all to yourself! The mountainous region in Costa Rica’s Southern zone is home to the country’s highest peaks and some really intense and unique landscape. Head south from San Jose over the “Cerro de la Muerte” (literally the Mountain of Death) through the scenic mountain area known as “Los Santos”. San Gerardo is a chilly mountain town on the banks of Savegre River – rated the cleanest river in all of Central America. Quetzals and hummingbirds abound in the charming mountain village. From hear take on the country’s highest peak, Chirripo. If you’re willing to make the effort to hike the 8-10 hours to the summit, you’ll have an opportunity to see both the Pacific and Atlantic Ocean’s on a clear day – a site found almost no where else on Earth! The Pacuare River is rated as one of the most scenic in the world and is a highlight to many people’s trips to Costa Rica. Most people just take a day tour on the river, however an overnight adventure on the banks of the Pacuare is an amazing experience. Choose to visit the rural town of Turrialba and get to see a more “authentic” part of the country. Take a trip to the Orosi Valley, Sarapiqui – the list of off the beaten path destinations just goes on and on!